New selection of mineral specimens from the world famous Panasqueira mines in Portugal. As usual we have posted beside the photos of each mineral specimen a video for a much better characterization and visualization of the piece. 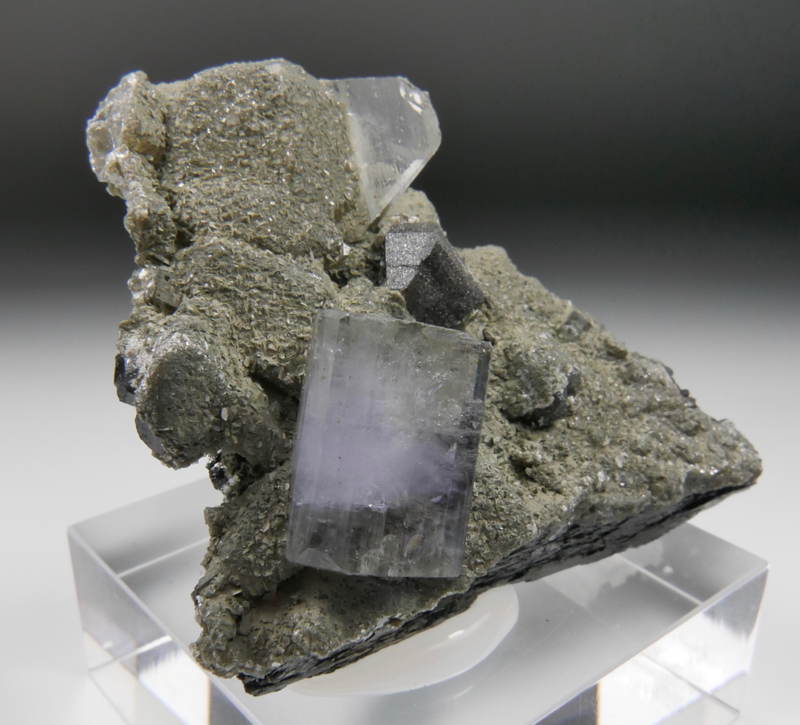 AC01 - Fluorapatite with Quartz. Panasqueira mines, Aldeia de Sao Francisco de Assis, Covilha, Castelo Branco, Portugal. 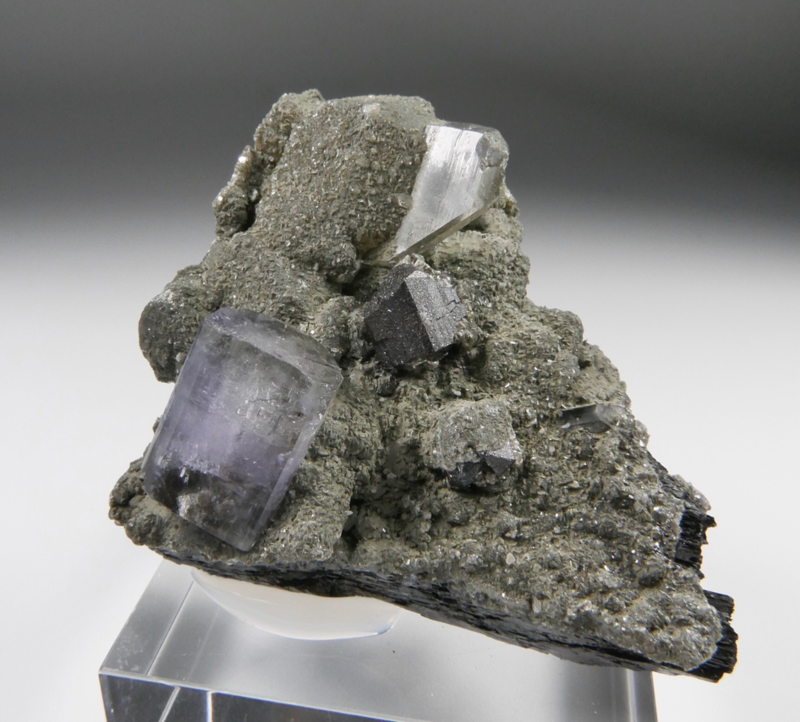 Prysmatic crystal of lilac Fluorapatite perched on a matrix of Quartz crystals. Aesthetic Panasqueira mineral specimen in very good condition. Good transparency, excellent lilac color. 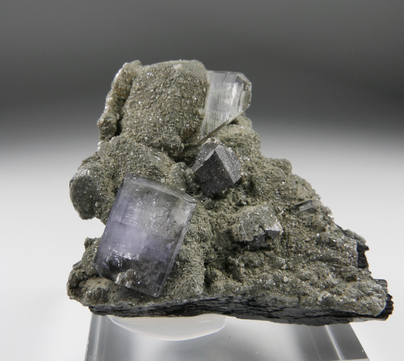 A very scarce and difficult to find Panasqueira Fluorapatite. Watch the video. AC05 - Fluorapatite. Panasqueira mines, Aldeia de Sao Francisco de Assis, Covilha, Castelo Branco, Portugal. Cluster of lilac Fluorapatite crystals. The Apatites show a beautiful lilac color under incandescent light and light blue-purple color in conditions of natural light. This one is an usual feature of this kind of Panasqueira Fluorapatites. The crystals are translucent to transparent and show a strong fluorescence with ultraviolet light. Aesthetic Panasqueira specimen. Watch video. 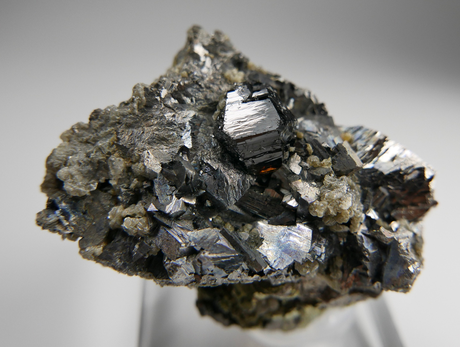 AC06 - Cassiterite with Arsenopyrite. Panasqueira mines, Aldeia de Sao Francisco de Assis, Covilha, Castelo Branco, Portugal. 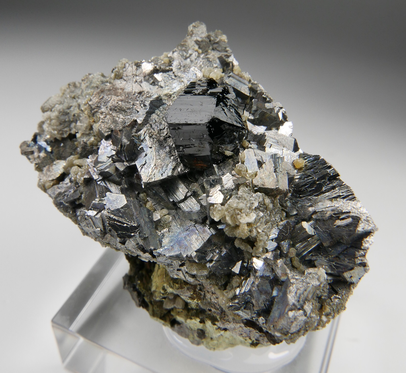 Great Cassiterite specimen from the Panasqueira mines. 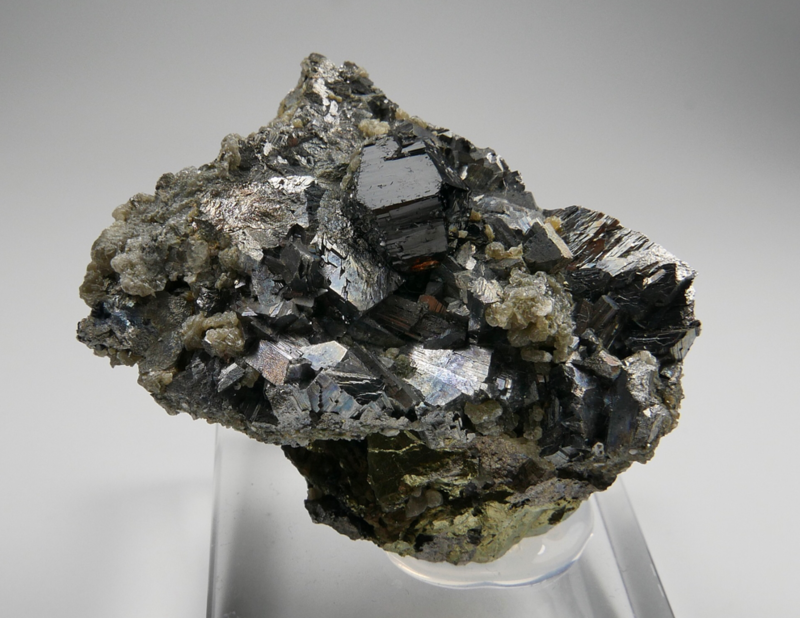 It consists of a flawless Cassiterite crystal with very well defined faces and edges and glossy color. Some portions of the crystal shows good transparency. On a matrix of Arsenopyrite and Chalcopyrite. Very good Cassiterite. Watch video. AC10- Fluorapatite, Ferberite, Cassiterite and Quartz. Panasqueira mines, Aldeia de Sao Francisco de Assis, Covilha, Castelo Branco, Portugal. Stunning combination specimen from the world famous Panasqueira mines. 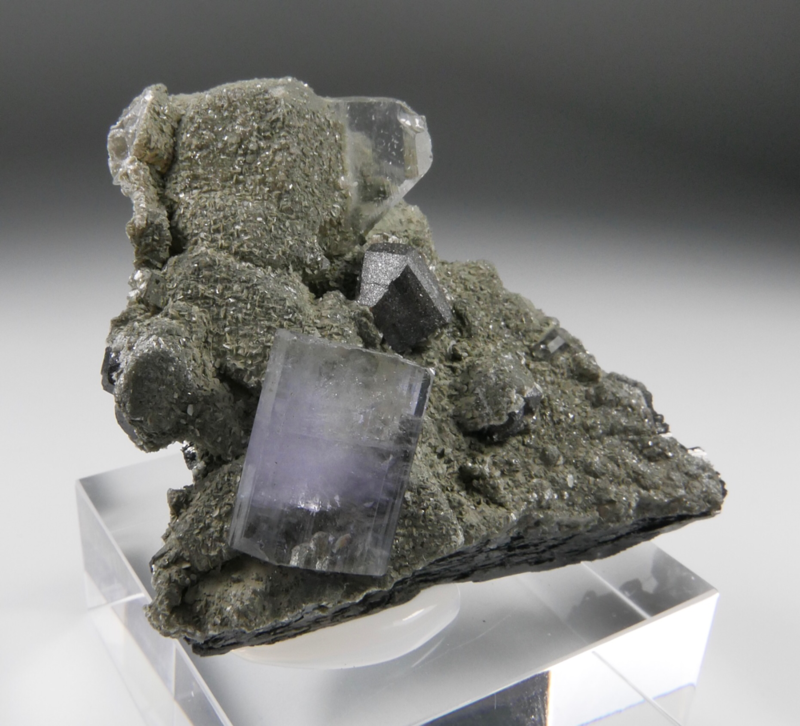 It comprises a fine lilac Fluorapatite crystal with very good transparency. 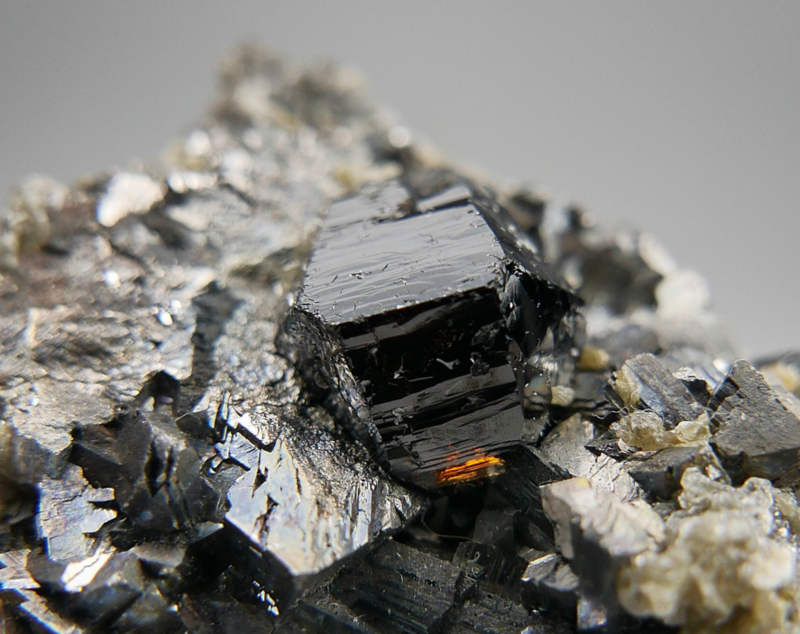 It is settled on a lustrous crystal of Ferberite with Cassiterite and Quartz. The specimen is in very good condition. The upper face of the Fluorapatite has a minor chipping that it does not detract from the quality. The Fluorapatite shows a strong fluorescence with UV. Watch video.